The function of many of the objects in our archaeological collections tends to be fairly straight forward and obvious for instance even if we have never thrown a spear or cooked soup in a metal cauldron over an open fire we have an educated idea as to how these items work and what we can do with them. However once in a while we encounter objects in the museum which at first sight seem easy to understand and we can even relate to the use, but then when you examine them more closely their function becomes more unknown and even mysterious. 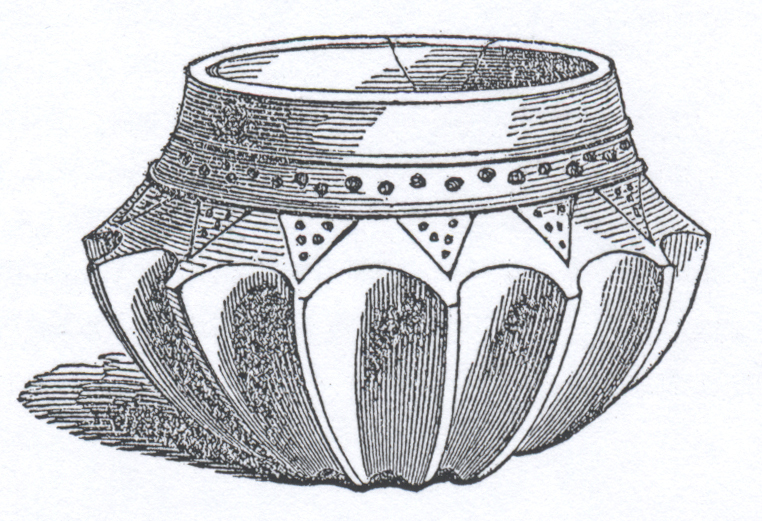 The inclusion of a fragment of reused Roman glass into the base of the vessel led to it being referred to a “Window Urn”. 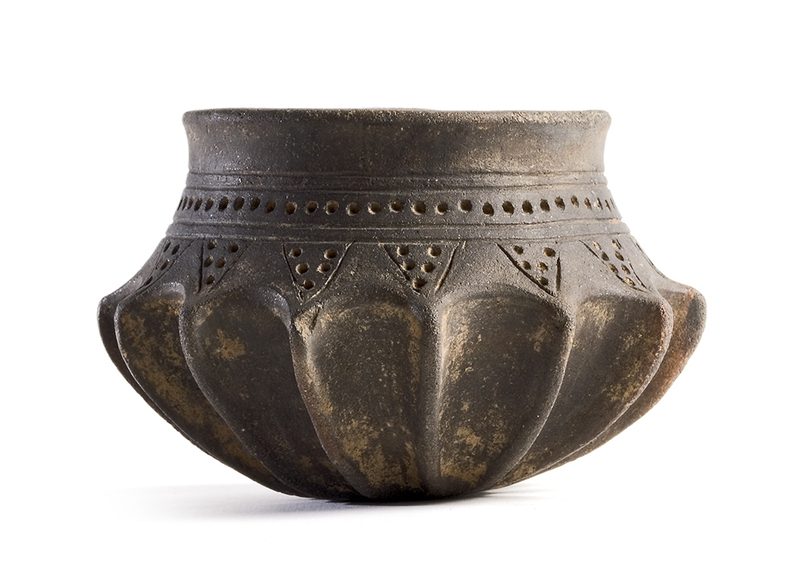 The practice of placing personal items to accompany the body in the grave is not an unusual occurrence in the Pagan Saxon period however what is unusual is the inclusion of a complete, and at the time unique window urn. Since this find in 1857 a few other windows urns have been discovered both here in England and in Germany, so though the Kempston window urn is no longer unique it still belongs to a group of odd and rare vessels. However, even though there are more known examples we are still none the wiser as to the function of this group of highly specialised pottery and glass vessels. View from the side showing the fluting on the body of the vessel. 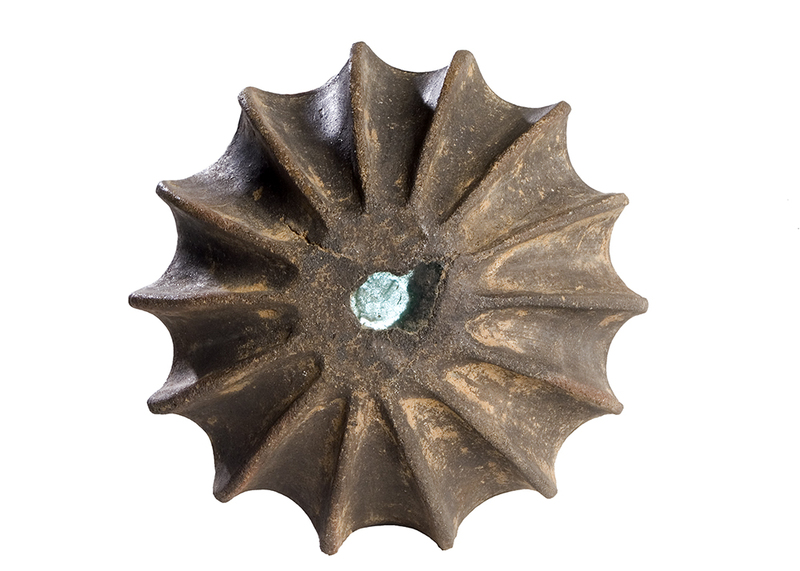 View of the base showing the fragment of Roman glass inserted into the base.